PROSECCO & DINE Take advantage of our special offer PROSECCO & DINE dedicated to all food & wine lovers, during the EXPO 2015 Discover with us "how the wine is made" by the best local wineries producers of excellent wine, as the famous "Prosecco Docg". - dinner with special tasting menu (4 courses) at our Restaurant "La Terrazza"
Special offer valid every day of the week from May to October. Booking and information: write to info@albergoalsole.com or call 0039.0423.951332.
Credit card required as guarantee. Nestled in the heart of the medieval village of Asolo, this timeless Hotel has a warm atmosphere and is surrounded by rich art and culture, including Palladian Villas and the temple of Antonio Canova. An ideal starting point for walks and excursions to vineyards and wineries that give charm to the landscape. A popular destination for cyclists from all over the world for its spectacular natural scene ryand paths around the city its surroundings. 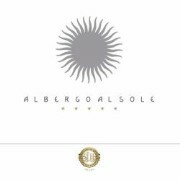 Albergo Al Sole, a masterpiece of harmony and refinement, preserves intact the fascination of the past and balances at the highest levels essentials and luxury, moderation and stylishness. Historic landmark on the square of Asolo, it has returned to life thanks to a skilful restoration, ended in 1996, by which the old building construction got back its original look. There is a resounding remembrance of the old culture of Asolo, and the fascination of nobleness that the great Eleonora Duse contributed to instill during the years of her stays. Note worthy is the discovery of the Cave of Bacco us during the excavation tha thas allowed the realization of the basement. The painted ceiling is of a man with a wine bottle in his hand and dates back to the sixteenth century. The restoration of the fresco has allowed it to be perfectly preserved until today. At the beginning of the 1900s, the hotel was run by two sisters who had made "Al Sole" a reference point for the Sunday get-togethers of the Asolo inhabitants and for every kind of ceremony of the local clientele. Fate would have it, 50 years later, that the two sisters Silvia and Elena De Checchi have been able to revive this hospitable tradition in the square of the fascinating medieval village of Asolo. Both are very passionate about the hotel, and their love for it has allowed them to build the skills required to turn it into a 5-star location and affiliate today of SMALL LUXURY HOTELS OF THE WORLD and a renowned Restaurant “La Terrazza”.